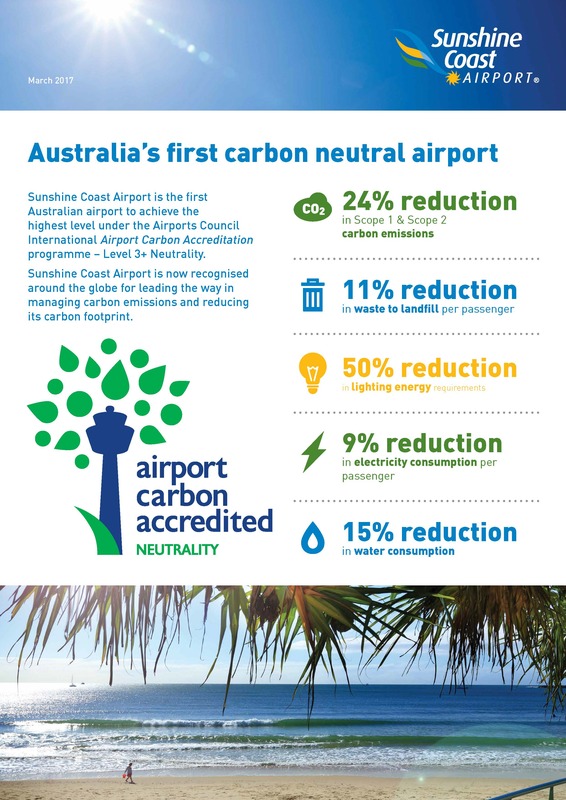 In March 2017 Sunshine Coast Airport became the first Australian airport to achieve Level 3+ Neutrality under the Airports Council International Airport Carbon Accreditation program. The Airport’s commitment to sustainability was once again recognised in March 2018 with the renewal of its carbon neutral status. Renewal at Level 3+ Neutrality reconfirms Sunshine Coast Airport as the first and only Australian airport to achieve and retain status at the top level of the program. Airport Carbon Accreditation is a program of Airports Council International (ACI) and is the only institutionally-endorsed carbon management program for airports. The program is the only airport specific carbon standard which relies on internationally recognised methodologies. As at March 2018 only 37 airports worldwide and five airports in the Asia Pacific region, including Sunshine Coast Airport, have been accredited at Level 3+ Neutrality. 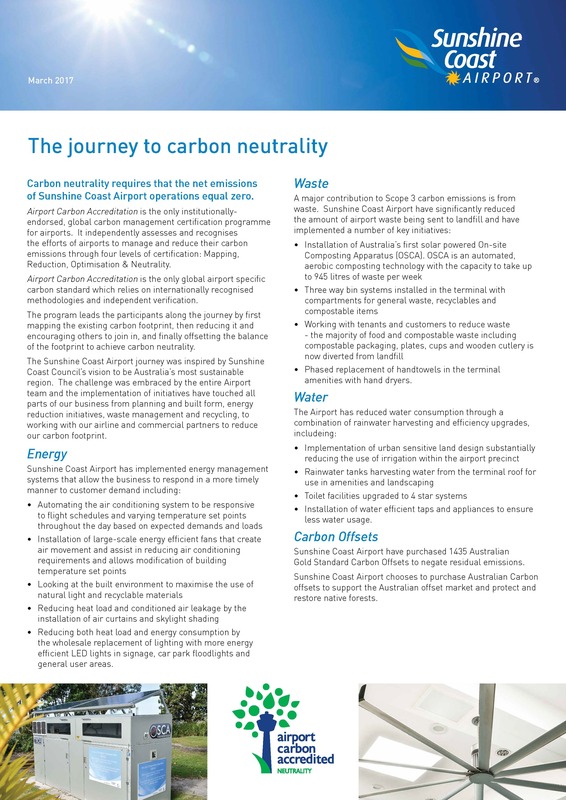 The Sunshine Coast Airport journey to neutrality was inspired by Sunshine Coast Council’s vision to be Australia’s most sustainable region. 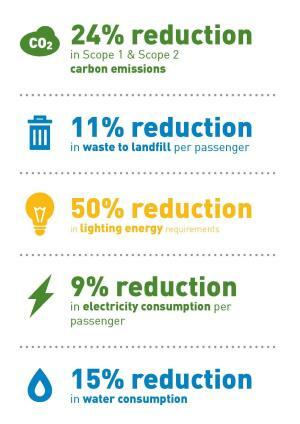 The challenge was embraced by the entire Airport team and the implementation of initiatives have touched all parts of the business from planning and built form, energy reduction initiatives, waste management and recycling, to working with our airline and commercial partners to reduce our carbon footprint. Details of our initiatives and outcomes can be found in the fact sheet below..